Bob is of Counsel to Sentinel Trust and serves as a strategic advisor to key relationships. He previously served as a Senior Relationship Officer and Executive Vice President at Sentinel Trust prior to retiring after almost twenty years of service to the firm and its clients. Bob has worked in fiduciary administration and wealth management for more than 40 years and joined Sentinel Trust at its inception. An active community member, he has served on the boards of the Kenedy Memorial Foundation (Corpus Christi), the Albert and Ethel Herzstein Charitable Foundation, the University of St. Thomas, and St. Agnes Academy. Robert J. Sweeney, CPA, Houston, TX (2015–present) – Conducts family office and fiduciary consulting. Executive Vice President and Senior Relationship Officer, Sentinel Trust Company, LBA Houston, TX (1996–2015) – Participated in the founding of Sentinel Trust. Responsibilities included leading selected client relationships. 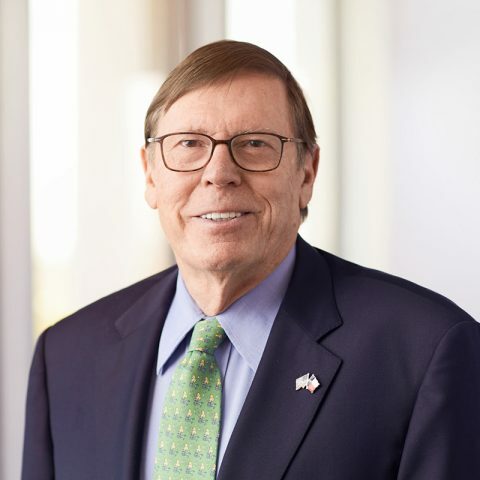 Vice President, Northern Trust Bank of Texas and its predecessor, Heritage Trust Company Houston, TX (1989–1996) – Responsibilities included marketing, corporate finance, and management; served as Chief Operating, Chief Fiduciary, and Chief Banking Officer. © 2019 Sentinel Trust Company, LBA. All rights reserved.